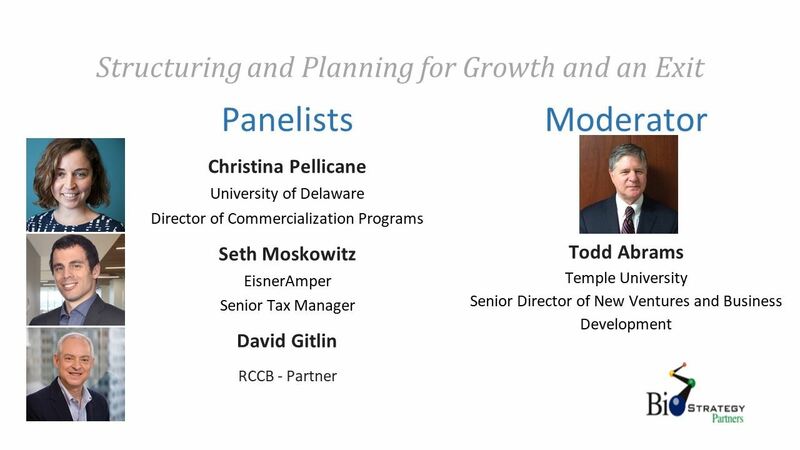 If you missed the practical knowledge series panel event today held at EisnerAmper, you can listen to our panelists discuss corporate hygiene, exit strategies, investor discovery, advisory board composition and more through the link below. Copyright 2017, BioStrategy Partners. All rights reserved.